Russia’s history of gun ownership has been a rollercoaster: from an armed populace in the days of the monarchy to near complete disarmament during the Soviet Union. 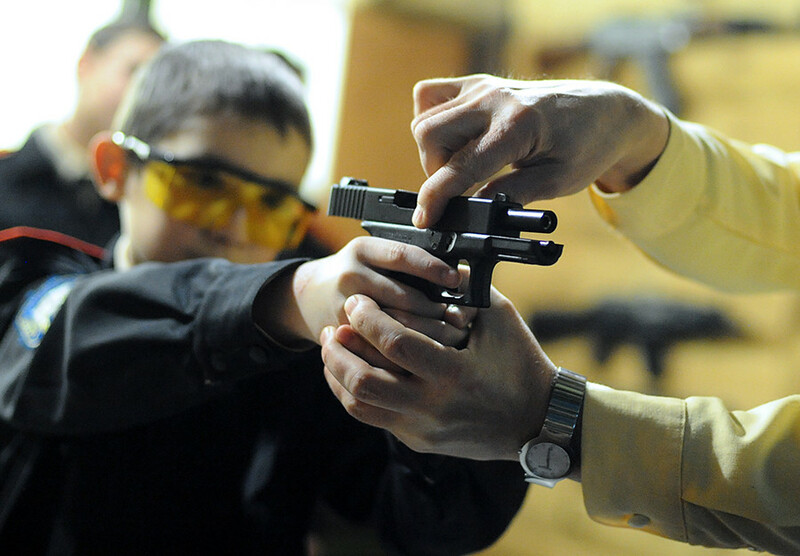 Russian laws regarding gun ownership today continue to stand in stark contrast to those in the United States and, despite numerous restrictions, gun culture in Russia remains a popular trend. To get a clear understanding of the current situation, we spoke with Rafail Ruditsky, head of the Civilian Weapons Union in Moscow. “Most Russians do not support the free trade of arms - neither do I - believing there should be tight control over firearm sales.” Substantiating on this and when asked about the United States, he adds, “The American model does not sufficiently limit access to arms in the case of psychologically unstable people and drug addicts.” Add to this the fact that there has never been a strong demand for widespread civilian gun ownership in the country, and it becomes apparent that changing or reversing these laws is not a major point of contention in Russian politics. In order to be eligible to purchase a firearm, one must be over the age of 18 and pass extensive background checks; those who suffer from mental illness or have a history of substance abuse are disqualified. Background checks are particularly stringent in regard to the mental health of a buyer, and the Federal Assembly is even considering a law that would punish doctors who misdiagnose or provide inaccurate documentation for mentally ill patients attempting to purchase firearms. In regard to firearms, Ruditsky tells us, “Some time ago the Ministry of Internal Affairs estimated it as being from five to 25 million pieces.” While Russia has seen a dramatic decline in terrorist activity since the 1990s, gun crime has risen steadily, peaking in 2015, with 5400 incidents. In contrast, by the turn of April 2017 there were an estimated 4.5 million Russians in legal possession of approximately 7.3 million weapons. While this may seem high, it only encompasses roughly 3 percent of the population with the vast remainder unarmed. It remains fairly difficult to properly assess what weapons flow through Russia’s black market and, in the words of Popenker, “The number of legal firearm owners actually dropped recently after the authorities had toughened the rules on the possession of so-called self-defense weapons.” As the government continues to push back against illegal weapons trade, it can be expected that this number of gun-related crimes will gradually begin a sharp decline. Standing opposite of Russia, the United States celebrates loose gun laws, and the right to own a weapon is protected tooth and nail by the Second Amendment of the Constitution. 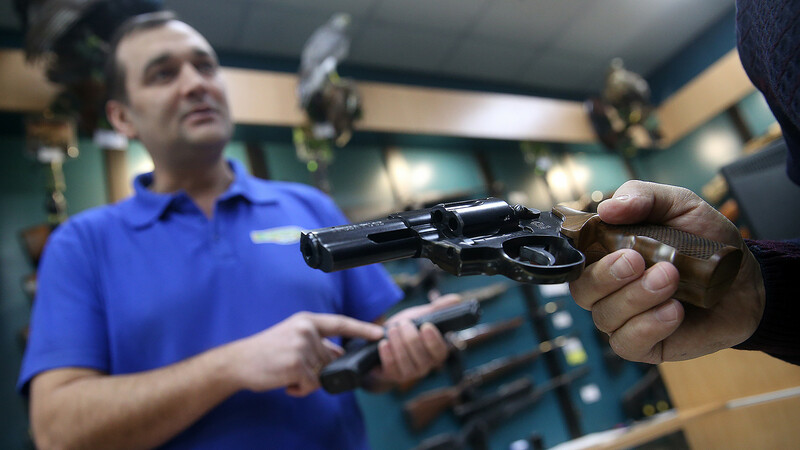 While some states require a license to obtain a firearm, most Americans are able to purchase one with little more than a background check and wait period. 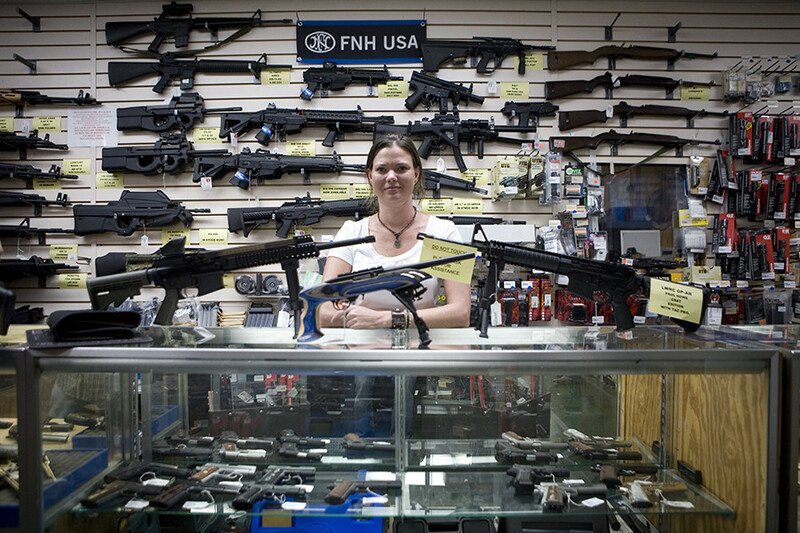 Moreover, some states require that all prospective gun owners register the weapon with local law enforcement. More dangerous firearms, namely fully-automatic ones, come with heavy restrictions tin all cases; weapons under this category are collectively known as title II weapons, and include short-barreled shotguns and rifles, machine-guns and fully automatic weapons. Despite their heavy restrictions, automatic weapons have still been used in a number of shooting attacks in the states, most often by the illegal conversion of semi-automatic rifles, such as the case with the 2015 San Bernardino attack. The bump stock—a device used to transfer a weapon’s recoil into an additional shot—has been the subject of heavy debate in the U.S. following the 2017 Las Vegas shooting, as it allows a semi-automatic weapon to function as if it were automatic. Silencers are also available in the U.S. and are legal in 42 states, with only a handful of restrictions in two. While owning a silencer in Russia is not illegal in itself, using one outside of law enforcement is, and both the gun’s owner and vendor will be prosecuted for its use. Concealed weapons can also be carried in all states and some even allow open carrying (implying that the weapon in the owner’s vehicle or on their body does not need to be hidden from the public). In some cities such as Kennesaw, Georgia, it’s illegal not to own a gun, effectively turning the small town’s own residence into their own paramilitary law enforcement. The United States’s love for guns may seem reminiscent of firearm laws in the days before the Revolution.